It seems that the decor you find on the walls of people's homes is a bit more simpler than it used to be. It's more likely nowadays to find wall art in the form of decals. I was more than pumped when Arise Decals asked me to complete a review of one of their decals! With moving into a new house in the next month, we are pretty pumped to re-decorate and design everything fresh. 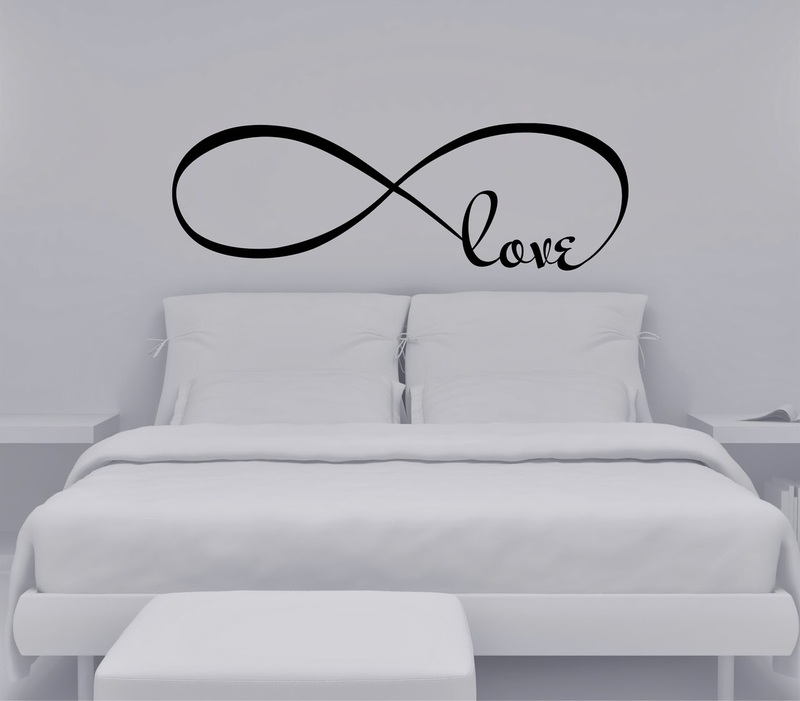 Right away I noticed the Love Infinity wall decal which I knew I had to have. Not only is this becoming a hot trend, it is a symbol closely related to the hit series Revenge. I am completely obsessed with the series and can't seem to get enough of it. 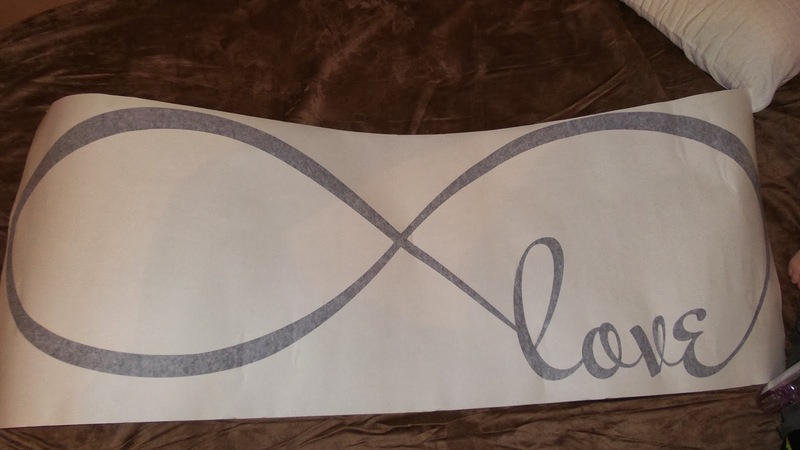 When I first saw this decal I just thought it was perfect and planned to put it in our living room! Key words used there though "planned" as once it arrived, Alana said she just had to have it for her room as she thought it would go perfectly with her plans for decor. 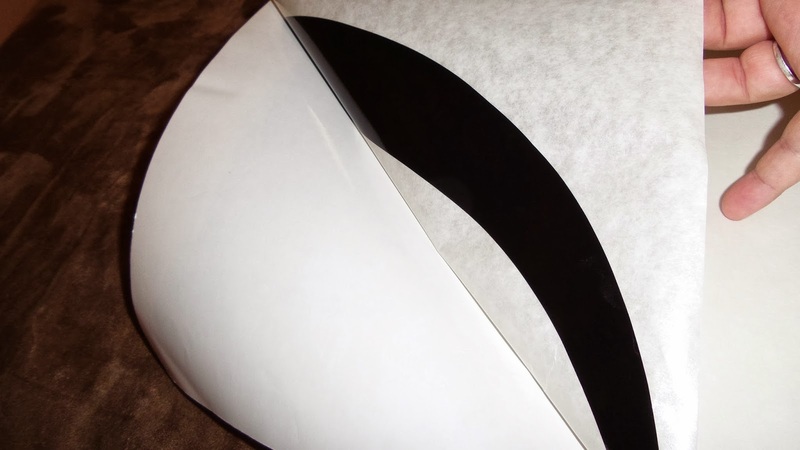 Not only is the decal completely removable (like all of their decals) but it will not leave a residue or mark on the wall! So when the teenager changes her mind for the 100th time I can easily change this over to the living room like originally planned. Recommendation: Super cool for any style home! With the quality and extremely great prices, you really can't go wrong. I honestly think this was the most expensive one on their site so I definitely recommend checking them out! You can choose from the selection they have or create your own! You can even use your own logo or art as well if you choose. These would make a great gift as well for anyone!